The university's busy TV studio space, one of two on the Cambridge campus, has become the first in the UK to benefit from Panasonic 4K studio camera technology. It's had a substantial upgrade with new mixing desk equipment, remote operational panel and three Panasonic AK-UC3000 4K cameras in addition to an overhead AW-UE70 4K remote camera. The upgrades come just in time for teaching to start in February 2017. The space is used by both undergraduate and MA students, and is an important resource for final year projects. It's very much a workhorse for the department and is used every day, so it was important the equipment would stand up the demands of near-constant use. Luckily the AK-UC3000 is a camera that is no stranger to a demanding work environment, as it is the primary tool of choice on Spanish La Liga football match coverage, the first league of its kind in the world to move to 4K. The AK-UC3000 has also seen action on the legendary El Clasico matches between Barcelona and Real Madrid. "The cameras can achieve great results, whatever the lighting setup or whatever the programme genre." Initial thoughts about an equipment refresh started about two years ago. "We've been on standard definition JVC cameras from the nineties up until this summer, so this is a big step for us," said Sean Thornton, Senior Media Technician at the university. "For the level of investment we've made and the fact that we need the cameras to be good for ten years, I needed something that was robust and reliable. For the university sector longevity is important because this type of kit is a major investment." Working to a budget, the department had to carefully consider where the money should be spent. "Our budget was for the whole project, not just the technology. We had got to the point with the studio where the rest of our infrastructure was high definition progressive and the cameras were still in standard definition." "We were aspiring to 1080p at 50p with the budget we had - 4K was always in the back of our minds but we didn't think it was particularly financially feasible," continues Sean. "It was when I saw the UC3000 at a trade show and asked what the likely shipping price was, and realised it was the same price as a 1080p camera that I thought perhaps 4K was in reach." "For the level of investment we've made and the fact that we need these cameras to be good for ten years, I needed something that was robust and reliable." 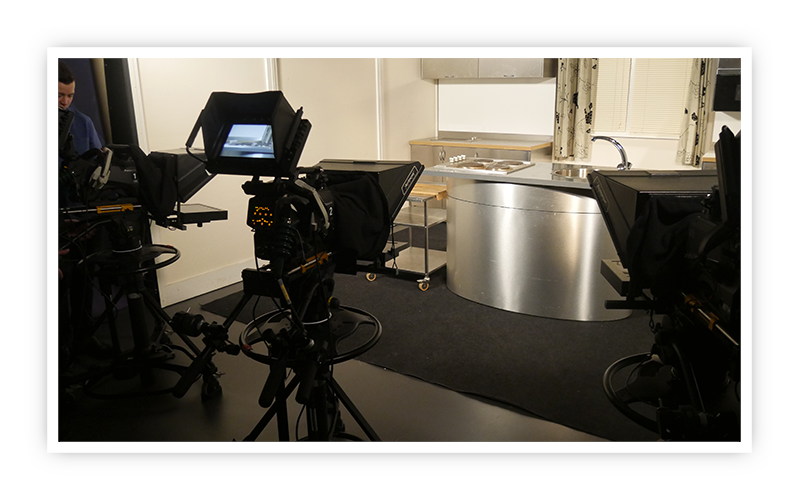 Among the most regular users of the space are students on the BA Film & TV Production course, in which they work on a module covering TV studio practices. Here a practicing freelance director works with the students over 12 weeks to teach them how to produce live TV. "The first few weeks are very stressful for the students as they're having to work exactly to time, so if they are told to be ready on the hour, then they need to be ready exactly then," explains Sean. "In essence, we're building the professional practice and discipline into them that they'll need in industry." 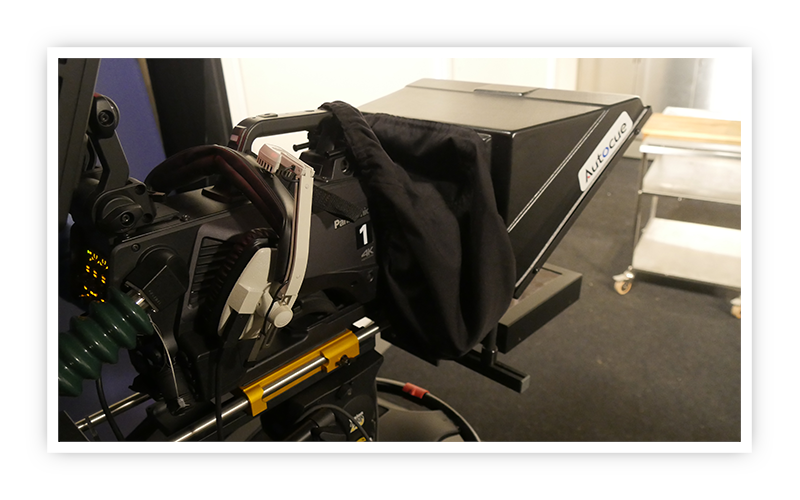 As well as the UC3000 studio 4K technology the universityhas also installed a AW-UE70 remote camera, which is mounted overhead in the lighting grid and is used to provide overhead shots. Sean elaborates - "it's mainly used for establishing shots for dramas or we'll have it for overhead shots of cookery demonstrations. The previous setup was very difficult to use because it was locked off and you couldn't remotely operate it - if you wanted to change the shot in any way you had to get the ladders out and climb up there!" "It's actually very important to the wider setup that we have in here because it gives the students an insight into another form of camera work that has become very common within the industry. Remote camera operation is something they definitely need to know about." Hans Petch is one of the Cambridge School of Art's Faculty members, and teaches using the space. "The cameras can achieve great results, whatever the lighting setup or whatever the programme genre. They are outstanding whether capturing a long shot or an extreme long shot. "I'm expecting the cameras' quality and ease of use to creatively inspire our students, and I'm looking forward to seeing how the TV studio pushes our students creatively. "I can see a future where great programme making and filmmaking is centred around our new TV studio, and as an educational institution we are proud to be leading the field with our new multi-camera studio." "When we wanted to upgrade from tape to SDHC, and when we wanted to upgrade our studio cameras, Panasonic were there first and able to ship first." Panasonic remote camera technology has become a mainstay of reality television, being used on the likes of series such as Eden, Educating Essex and Love Island. Meanwhile the department continues to also maintain a handheld rolling camera to give additional types of shot. "I buy based on the specification of the kit, not brand loyalty, but I've had a relationship with Panasonic for 25 years," explains Sean Thornton. "When I've had questions I've been able to contact the right people straight away." "On the occasion when we wanted to upgrade from tape to SDHC, and when we wanted to upgrade our studio cameras Panasonic were there first and able to ship first." As well as the studio space the university also keeps a number of Panasonic cameras as loan stock for students to borrow for their projects. It's an extremely busy department, with thousands of loans taking place each academic year. "For manufacturers it pays to work with education because what we've got is several hundred students coming through and getting their hands on and learning and developing using their products. When they eventually go into industry that's what they'll go with, because they already know them."